국제펜 본부는 주미 크르디스탄 펜 회장을 통하여 아이티 펜의 설립자이자 퀘백 펜 이사인 Georges Anglade씨가 부인과 함께 최근의 아이티 지진 참사로 인하여 사망하였다고 알려왔습니다. 국제펜 본부는 생전 그의 문학적 열의와 표현의 자유를 위한 용기있는 투쟁을 기리는 행사를 검토하고 있다고 합니다. 아래에 그의 사망 소식을 우리펜에 알려온 통지문과 이에 대한 이길원 이사장의 조문 답신을 첨부하였사오니 이를 참고하여 우리 한국펜 회원들도 개별적으로 조의를 표해주시면 고맙겠습니다. International Pen Kurdish sector in United State condolences Pen In Haiti for loss of Georges Nngelade. I have just learn from International Pen networking that Georges Anglade and his wife Mireille Neptune have been killed in the earth quake in Haiti . Georges was the founding President of PEN Haïti and a member of the Board of Quebec-PEN, a wonderful writer, a courageous man who had stood up to the enemies of free expression. His friend and colegues in Pen said that he had an amazing spirit and enthusiasm which drove him to continue to stand up and speak out for literature and freedom. He was a force of nature. It is with great sadness that we write to inform you that Georges Anglade and his wife Mireille Neptune, have been killed in the earth quake in Haiti . We are awaiting news of the other members of Haitian PEN and will of course ensure that we keep you up dated. In the only too short time we had to get to know Georges and Mireille, they had become an essential part of our PEN family. Georges’ strength and leadership in establishing a PEN Centre in Haiti was an inspiration to us all and his warmth and generosity made him a great friend. We will be discussing ways of celebrating their lives and work and would welcome thoughts from you as to how best to do so. If you would like to send us your own personal memories of Georges to post on the International PEN website we would be pleased to do so. I have just learnt that Georges Anglade and his wife Mireille Neptune have been killed in the earth quake in Haiti . 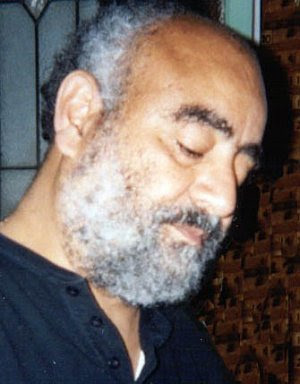 Georges was the founding President of PEN Haïti and a member of the Board of Quebec-PEN, a wonderful writer, a courageous man who had stood up to the enemies of free expression. He had an amazing spirit and enthusiasm which drove him to continue to stand up and speak out for literature and freedom. He was a force of nature. Perhaps that is why I find it difficult to accept that he is now gone. He was a good friend to many of you and I personally felt him as a dear friend, the kind of friend you could always count on. I will miss him as I know you will. As a member of Korean Centre of International PEN, I have met Professor Georges Anglade on a few occasions at the International PEN congresses, and our last meeting was in Linz, Austria in September last year. Although we didn't had much conversation then, thankfully he expressed conglatuation to our Korean delegates for hosting of 78th International PEN Congress in Seoul, Korea, and we were very much impressed with his enthusiasm for the literature and freedom of expression. Hearing he passed away with his wife Mireille Neptune in the recent earthquake in Haiti, we, the Korean members of International PEN, would like to deliver our sincere condolence to his bereaved family, and do wish they will get over this tragedy soon.